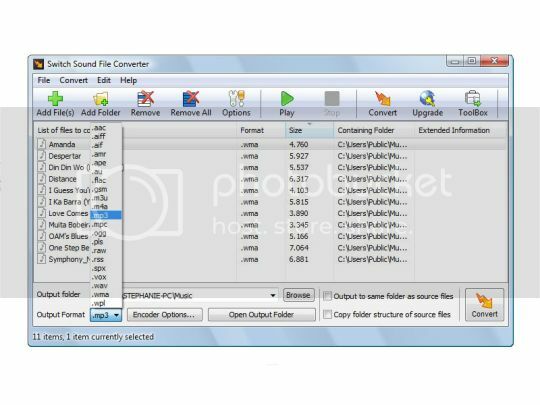 Switch can convert numerous audio file formats to mp3 and wav for free. It is light and easy to use. Just add the files you want to convert to the list, select the format you want to use, and then click the convert button. Converts a variety of audio file formats to mp3 or wav such as: wav, mp3, mp2, mpga, m4a, ogg, avi, mid, flac, aac, wma, dct, au, aiff, ogg, raw, msv, dvf, vox, cda, atrac, gsm, dss, sri, shn, dss, msv, wmv. The product includes a 14-day trial of Plus features.